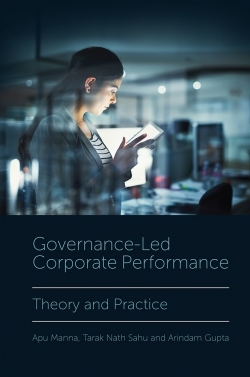 The practice of Corporate Social Responsibility (CSR) has been growing in attention, importance, significance, and acceptance in recent decades. CSR has been included in multiple debates, comments, theories, studies and research around the world. In the last decade, Ibero-America (including Brazil, Portugal, and Spain), has grown in economic terms, and corporate responsible practices have played a key role. A CSR approach in community-based experience has emerged in the last years in this region. This is due to the support of multilateral agencies that have served as a link between government, private sector and society. However, there are still many inequalities in this region. 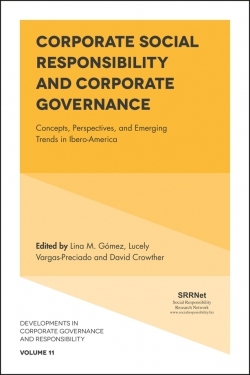 Therefore, this edited book focuses on how CSR and Corporate Governance in Ibero-America have been employed, analyzed, and examined in different sectors and scenarios (companies, NGOs, higher educational institutions, government). It does so from theoretical (theory development), conceptual, methodological, and empirical approaches. It takes a trans-regional approach unlike most research which has been focused on studying specific initiatives or experiences in a particular country. Lina M. Gomez is Assistant Professor in the Communications Program at the School of Social and Human Sciences at Universidad del Este (UNE) in Puerto Rico. She has a PhD in Business with a concentration in Corporate Social Responsibility and Sustainability from Universitat Jaume I in Spain. She also has a Master in Communications from University of Puerto Rico - Río Piedras Campus and a bachelor in Communications and Journalism from Universidad del Norte in Colombia. Dr. Gomez currently leads the development of the first Research Center in Social Media and Digital Technologies in the Caribbean. Dr. Gomez has presented in several international conferences and published in journals such as Public Relations Rewiew, Revista Internacional de Relaciones Públicas, and Correspondencias & Análisis. Her expertise and research interests are in Social Media, Organizational Communication, and Corporate Social Responsibility. 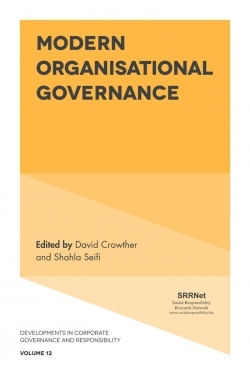 David Crowther is Professor of Corporate Social Responsibility at De Montfort University, UK; Research Professor at London School of Commerce, UK and Visiting Professor at Shanghai University, China. 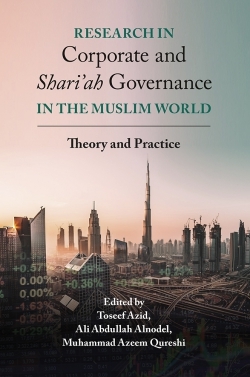 He is Founding Chair of the Social Responsibility Research Network and has published more than 50 books and 400 articles and shorter works. Lucely Vargas has a PhD in Corporate Finance, University of Trieste, Italy. She has a MS in Industrial Engineering. Currently she is lecturer at the department of Corporate Finance at Johannes Kepler University. She was a visiting scholar, Bentley University, Waltham, USA, 2013 and 2009 and MDI, Gurgaon, India 2012. She also was an international Guest research and lecture at the Department of Work, Organization and Media Psychology, at Johannes Kepler University of Linz, in Austria and at the Applied Science University, at Steyr, Austria. 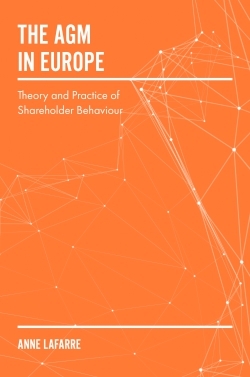 Dr. Vargas is the author of the book: Sustainable Finance and Ethical/Corporate Social Responsibility: The New Paradigm: Generali Insurance Company case of study, and she also has published papers and book chapters in the discipline of CSR and obtained prestigious awards such as Outstanding Author Contribution 2014 by Emerald.